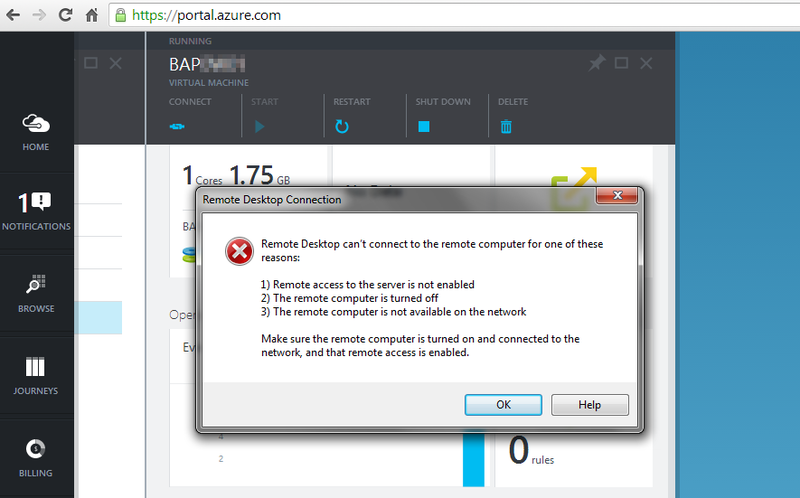 If you’re connecting to an Azure VM from a corporate network you may run into RDP connectivity issues. 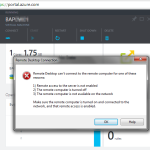 By default your RDP client will try to connect to the server over the Internet using port 3389. Most corporate and large organizational Internet Proxies and Firewalls block outbound connectivity to port 3389. You’ll see the ugly message to the left when trying to connect. Luckily, its pretty easy to configure the public ports on your VM. Here’s how I modify it.